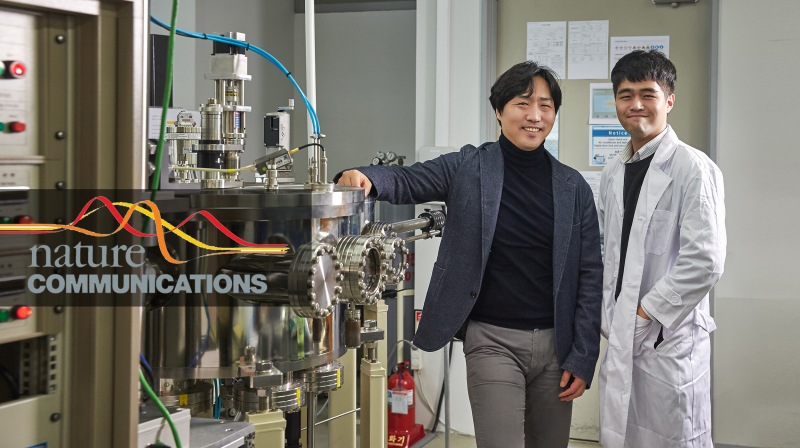 From left are Professor Ki-Suk Lee and Hee-Sung Han in the School of Materials Science and Engineering at UNIST. Their findings have been published in the March 2019 issue of Nature Communications. A black hole is a region in space where the pulling force of gravity is so strong that, once captured, absolutely nothing is able to escape. This results in space-time having a jagged edge, beyond which physics no longer exists—the singularity. In the nanoworld, there also exists this singularity inside a magnetic material, which is known as the ‘Bloch point (BP)’. As in astrophysics, the singularity hides inside a black hole (upper right) may also exist in a nano magnetic material, which now known as Bloch Point. When BPs are present, the spin vector inside the magnetic field disappears and becomes zero (spin singularity). Besides, like the twists in space-time caused by rotating black holes, the spinning direction of a magnetic body that entails a BP, appears as a whirl centered around this point. This unique structure has emerged as a key element in the field of Spintronics, one of the most critical for the future of semiconductor technology. A BP is a topological defect in a ferromagnet at which the local magnetization vanishes. With the difficulty of generating a stable BP in nanomagnetic structures, the intrinsic nature of a BP and its dynamic behavior has not been verified experimentally. A recent study, affiliated with UNIST has succeeded in generating a stable BP in magnetic nanostructures, thus attracted much attention academically. Even though extensive theoretical studies have been conducted to ascertain the existence of BPs, experimental investigation of BP dynamics and related phenomena in nanopatterned magnetic systems have never been fully addressed, until now. Schematic diagram, showing different shapes of Bloch point (BP). In the present work, Professor Ki-Suk Lee and his research team in the School of Materials Science and Engineering at UNIST have proposed a unique structure that allows easy formation of steady-state BPs in asymmetric ferromagnetic disks, and this has been experimentally confirmed. 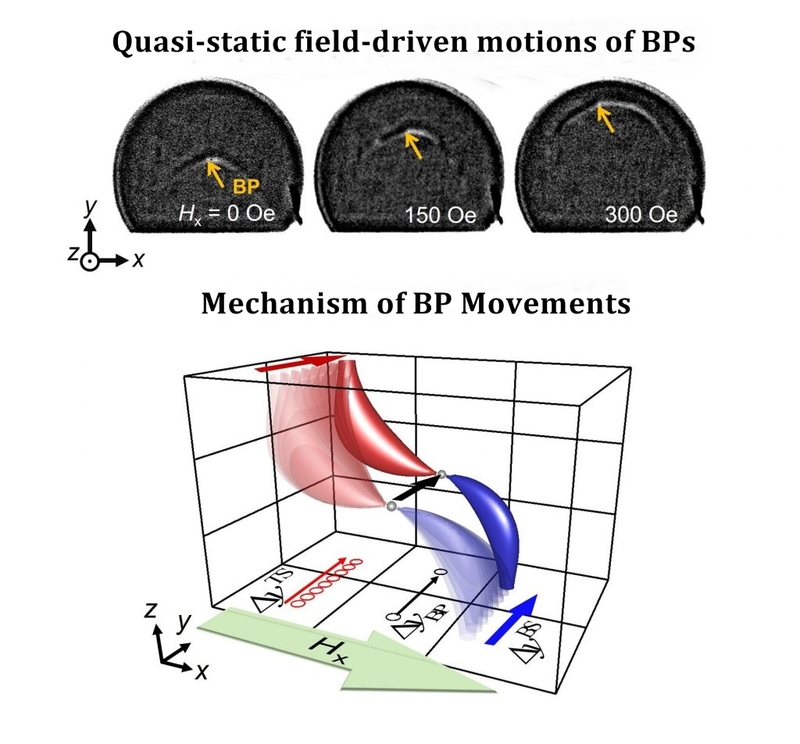 Their results show that a BP can be stably generated in asymmetric ferromagnetic disks and the BP has peculiar dynamic behaviour. 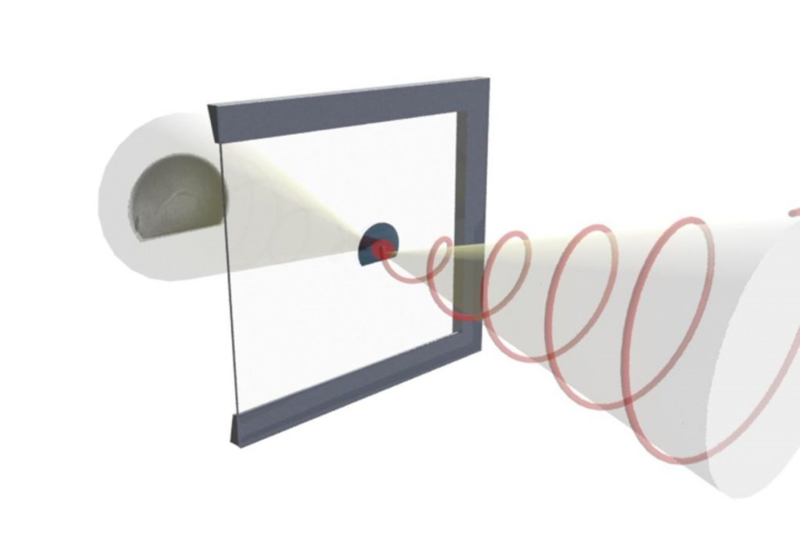 They also demonstrate that the existence of a BP considerably acts on the dynamic motion of vortex cores, which is deeply connected to the intrinsic nature of BP as a discrete spin texture. “The new method, utilizing disk-shaped nanomagnetic materials is easy to make and has an advantage of generating BPs easily,” says Hee-Sung Han, the first co-author of this study. 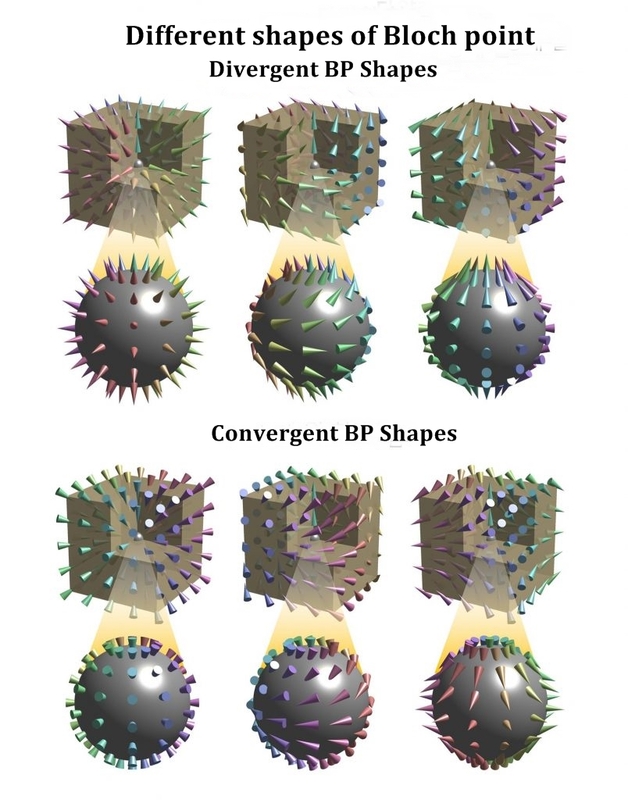 Images of the distorted vortex core structures with no BP (left), a single BP (middle), and double BPs (right), and the configurations of the BPs embedded in the vortex cores. Spintronics has emerged as it becomes difficult to reduce the size of silicon-based semiconductors. As the name suggests, the goal is to develop an electronic device using both electrons and spins, as it can be seen from the name ‘Spin’, which is the quantum mechanical property of electrons, and ‘Electronics’, which uses electron charges. It is expected to process more information at a smaller size than silicon semiconductors, which is of interest to the industry. In this study, the team generated steady-state BPs in association with magnetic vortex cores of asymmetrically shaped 100 nm thick permalloy (Ni80Fe20, Py) disks and their dynamic behaviours are directly observed along with their quasi-static motions using the magnetic transmission soft X-ray microscopy (MTXM) at the Advanced Light Source (ALS) with a spatiotemporal resolution of 25 nm and 70 ps. Series of images for BP motions driven by applying an external magnetic field from Hx = 0 to +300 Oe with a field step of 0.5 Oe/ns in the +x-direction observed in the non-BP. The findings of this research have been published in the journal, Nature Communications on February 5, 2019. 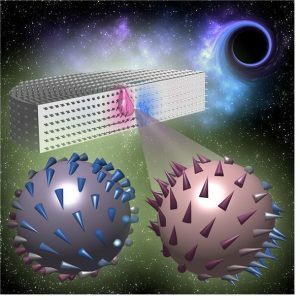 This study has been participated by Dr. Mi-Young Im and Hee-Seung Jung from Lawrence Berkeley National Laboratory (LBNL), as the first co-authors and Professor Ki-Suk Lee, as the corresponding author. Professor Jung-Il Hong from the Department of Emerging Materials Science at DGIST also partook in the study. This study has been supported by the National Research Foundation (NRF) of Korea, funded by the Ministry of Education, Science and Technology (MEST). Researchers in this study used beamline 6.1.2 at the Advanced Light Source (ALS), located at Lawrence Berkeley National Laboratory. 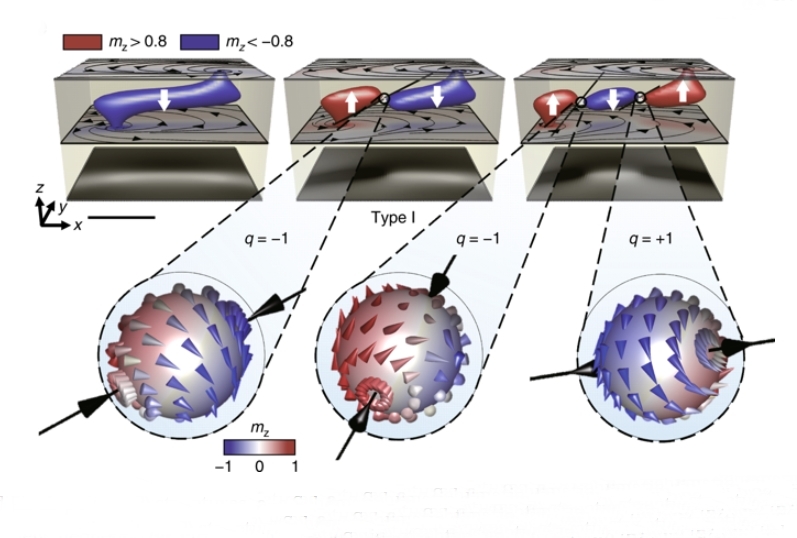 Mi-Young Im, et al., “Dynamics of the Bloch point in an asymmetric permalloy disk,” Nature Communications, (2019).